I literally just whipped these up in 5 minutes and my goodness they are yummo! I don’t think they will last long. 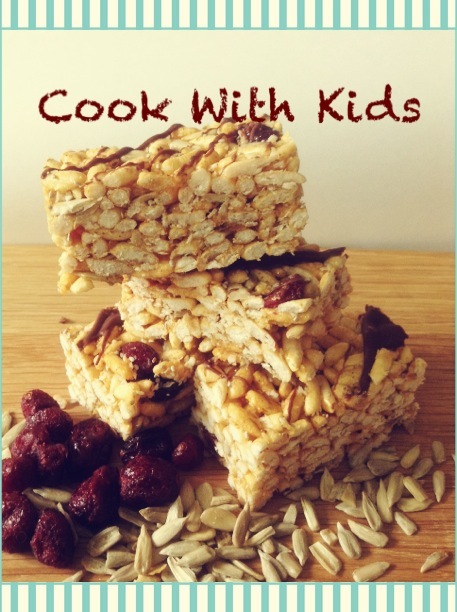 This would be a perfect recipe to make with kids. 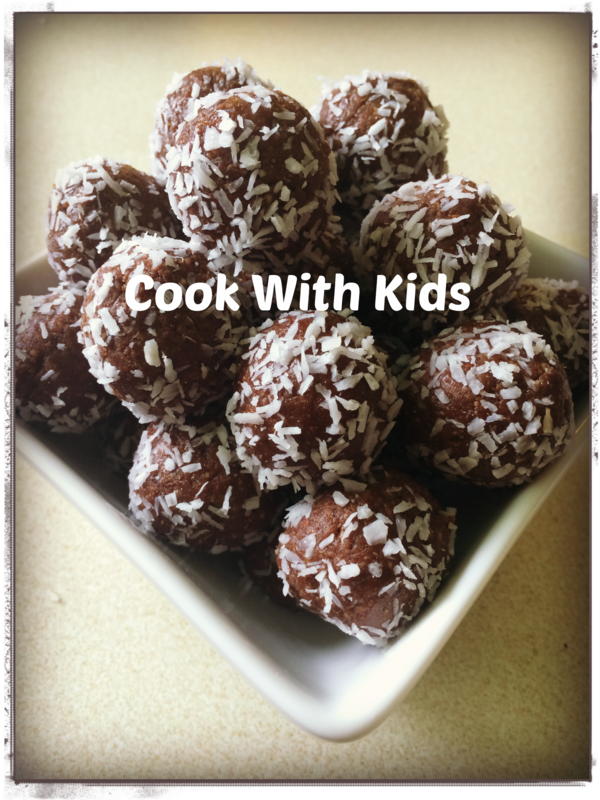 They can use their fine motor skills to roll the balls and then cover in coconut. My little guy was too busy playing with his new pup from Build a Bear to help me today! He certainly enjoyed eating them though (as did the grown ups!)! Place all ingredients into a food processor and process until all ingredients have come together (will be quite sticky). Roll into balls and then into dessicated coconut. Would also look cute with some little toothpick flags in them for something different or a special occasion. I used the same recipe as we used for the Gingerbread Star Trees and I purchased a kit that contained all the cutters to make the house. It was only $19.95 and I intend to use it again. A lot less fuss than cutting the guides from cardboard as a lot of recipes suggest. 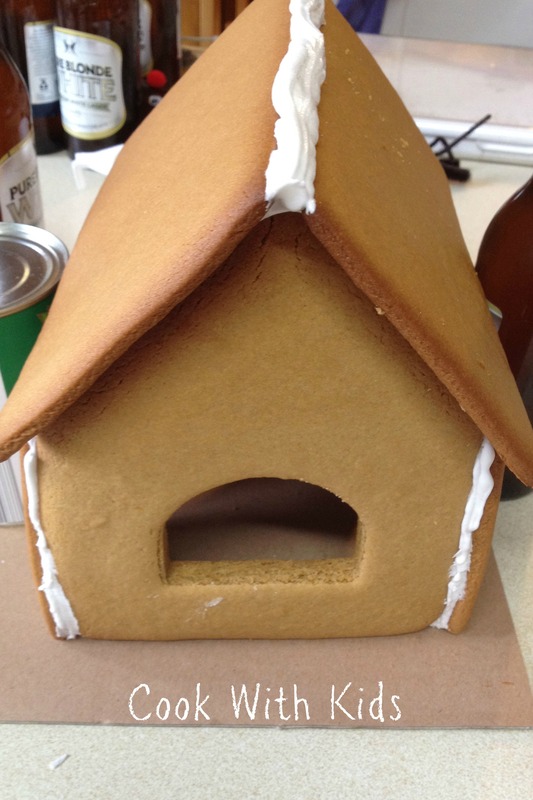 You can make the gingerbread in advance. You can store it in a container for up to a month or a week when made up. We made our biscuits about a week ahead and stored them flat in an airtight container. Preheat oven to 180C. Sift flour, baking powder, bicarbonate of soda, spices and a pinch of salt into a bowl. Using an electric mixer, beat butter and brown sugar until fluffy. Add honey and egg. Beat until combined. On low speed, beat in sifted dry ingredients until mixture comes together. Divide dough in 1/2. Wrap separately in plastic. Refrigerate for 30 minutes.Roll out dough halves between baking paper until 4mm thick. Using a set of star cutters cut out as many sets of stars as you can from the dough. With the leftover dough, re-roll it and cut out some small stars to use in between layers. Place same sized stars together, 3cm apart, on baking paper-lined oven trays. Bake larger stars for 8 minutes; smaller stars for 5-7 minutes or until deep golden. Stand biscuits for 5 minutes. Transfer to wire racks to cool. To make icing:Place eggwhite in a bowl. Stir in icing sugar, 2 tbs at a time, until combined. Place icing in a clip lock bag and cut off the corner in order to pipe icing. Assemble house by piping icing onto edges and ‘sticking’ pieces together. You will need to allow the walls to harden before putting the roof on. 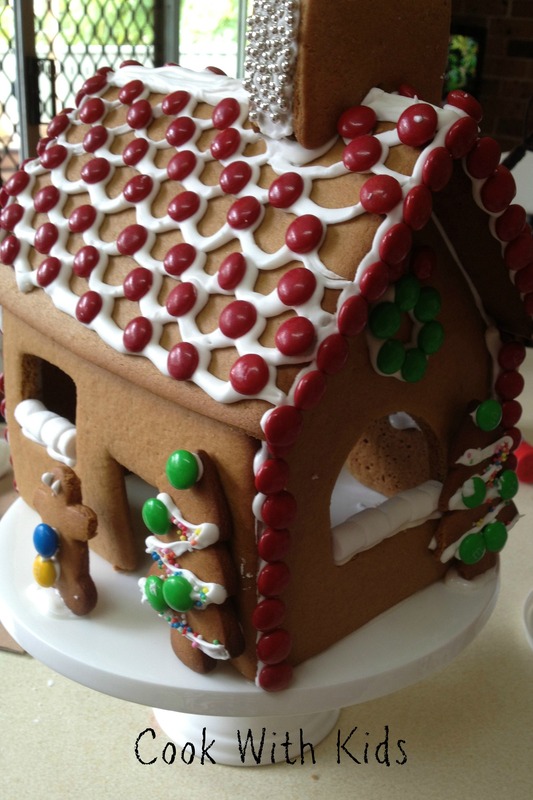 Use icing to attach lollies to outside of house once it has set. 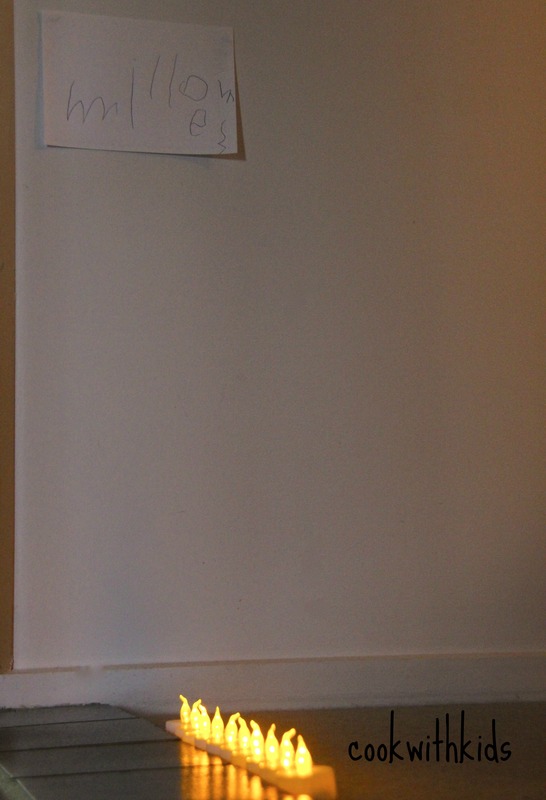 Leave for approximately an hour before decorating. We used m&m’s, small white marshmallows, hundreds and thousands. I put it on a plate with our North Pole cupcakes which you can read about here. 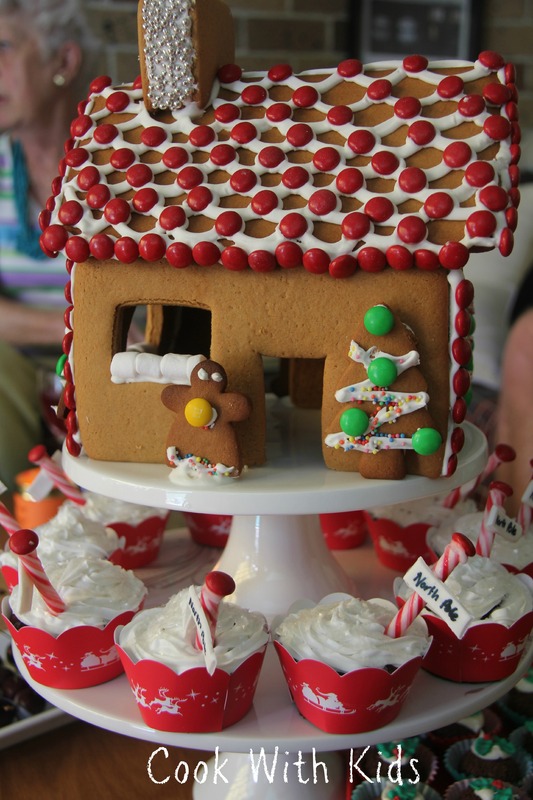 It was great fun and the kids loved pulling it apart and eating it on Christmas day. Will definitely do again next year! I know, I know I’ve been VERY quiet lately! I’m finding it difficult to blog now as Thomas no longer has a day sleep and by the time he goes to bed I can’t think any longer! My brain (and body) is dead and just wants to zone out. My little man is 4 now. He is still as busy as ever and so curious about everything! You know, things the average 4 year old wants to know like how does the water come out of the tap, where does it come from, how does the rain fall from the sky, how did he get out of my tummy, what does that sign say, what does that word mean… The list goes on and on – and so do the questions! Anyway, we have still been cooking although, until recently not as much. I don’t think the mixing and measuring was quite challenging enough for him! Last week he decided he wanted to help me cook a real meal. So together we cooked broccoli and chicken pasta. Just as we were about to serve it, Thomas decided he wanted to set the dining room up as Millones – his favourite restaurant! He made a sign up and set up some tea light candles (battery operated) and set the table. It was very cute and took our cooking to a whole new level. It also made him a lot more interested in sitting at the table! He has since decided that he is going to have his own restaurant when he grows up that serves garlic bread and lemonade! 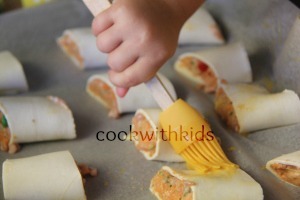 What have you been cooking lately with your kids?